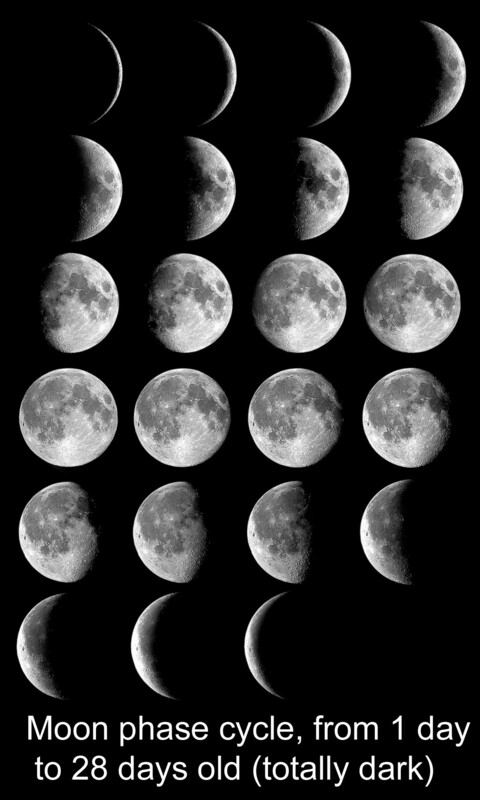 The Moon has "phases." That means it looks a little different to us each night during its one-month orbit of our planet. 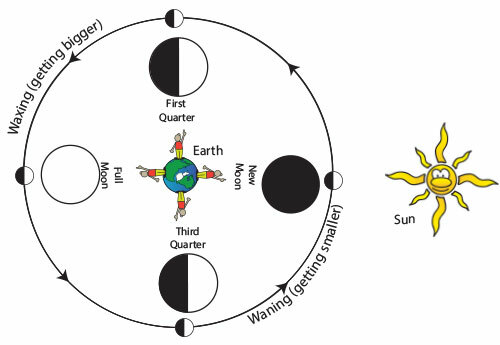 We describe how the Moon looks with terms such as "Full Moon," "First Quarter," and "New Moon" (which we can't really see, because the side that is lit faces away from us). But we see the Moon from the center of its orbit. So we see different portions of the lit side of the Moon. 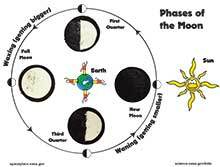 Then open up some Oreo cookies and scrape off the creme filling to make the four major phases of the Moon. 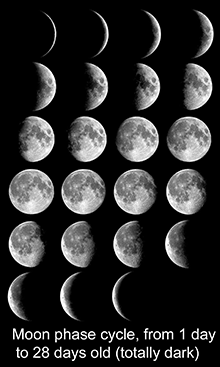 You can make this Moon phase calendar and calculator to figure out what phase the Moon is in. Or, you can go outside and look up!